To edit these settings Start Outlook 2010 and select File from the ribbon (upper left), select Info from the side panel, then select Account settings. This will open up a dialogue box similar to the one pictured below. Select your BTInet account (usually has Default in the Type field) and select change. This will bring you to another dialogue box similar to the one below. E-mail Address This is the Email address that BTInet has provided you. 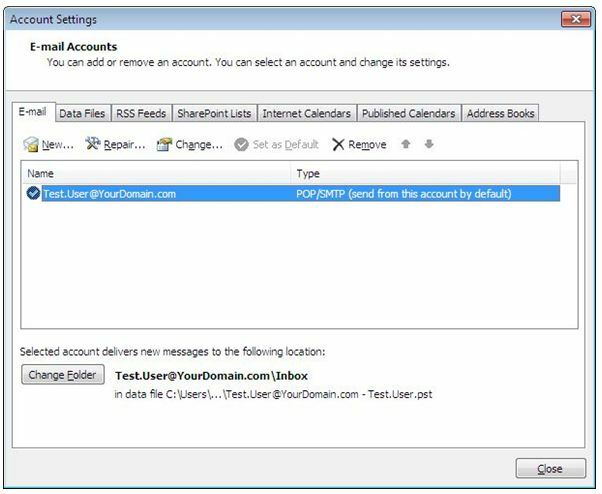 Check this box if you want Outlook to remember your password. Once you have confirmed these settings we need to configure the option More Settings. 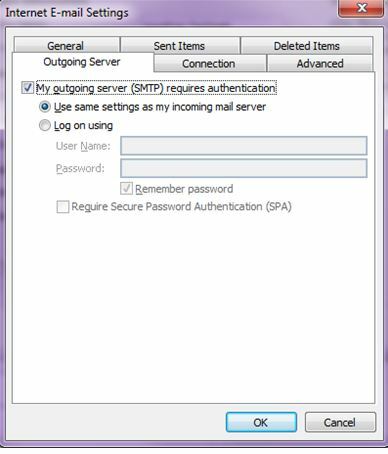 Under More Settings, under Outgoing Server, make sure the “My outgoing server requires authentication” is checked and that “use same settings as my incoming mail server is selected”. 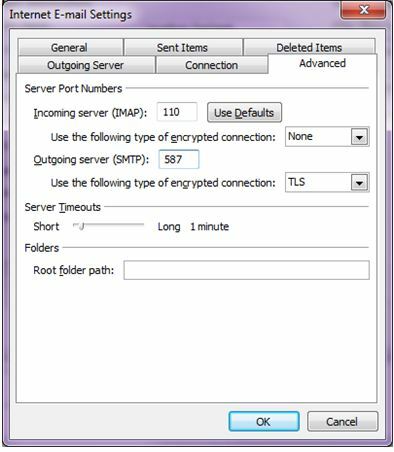 Under the Advanced Tab we want to make sure that the Outgoing Server number is 587 and that the option “This server requires an encrypted connection” is either TLS or SSL (In the rare case that one of these encryptions types does not work please try using them with port 465). From here we can click OK and select Finish. If you have any questions – please feel free to contact our office. Did you recently purchase or receive an ipad, ipod or iphone? Perfect – let’s now set up your BTInet e-mail on it. Tap on Settings > Mail, Contacts, Calendars > Add Account. Tap on Other and then Add Mail Account. NOTE: If IMAP is not selected, tap the IMAP button. Check your connection by using Safari to open a web page. If you are connecting with Wi-Fi, note that many public Wi-Fi networks require users to sign in to use the service. To turn off Wi-Fi: Tap Settings > Wi-Fi. Tap Save and the device will verify the setting and return to the Mail, Contacts, Calendars screen. If you have further questions, please give us a call at 701.557.5117. Thank you and ENJOY!! Did you recently purchase or receive an ipad, ipod or iphone as a gift? Do you need help configuring your email? It is your lucky day; I have the perfect instructions just for that!